Hey Everyone! Hope you are all having a lovely start to the weekend. I am currently sat in front of the TV watching the OA on Netflix and eating some healthy porridge as I wait to go to work. I don't normally eat breakfast but it is something I am really trying to get into this year and I am trying different ones as well as creating my own. So far I am a huge fan of the avocado on toast. It's amazing! 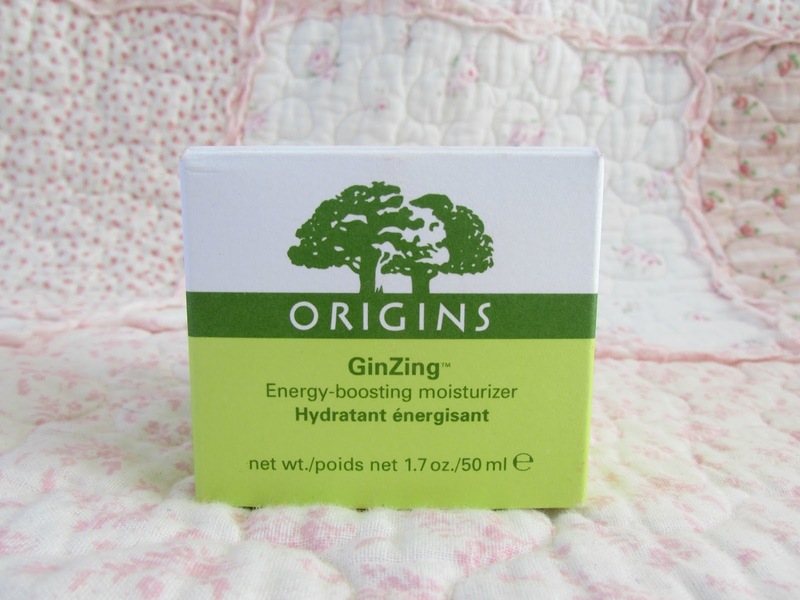 Anyway, before I ramble on too much today I thought that I would do a post about one of my all time favorite moisturizers and that is the origins ginzing moisturizer. I have been using this moisturizer on and off for about three years now and I absolutely love it. As it is quite pricey it's not something I constantly buy but it's always sat on my dressing table as it's just so good. I find that this moisturizer has really made a difference to my skin so I thought today I would do an updated review for you all as I know January tends to be the time of year we look after our skin a lot more, especially after the festive season. 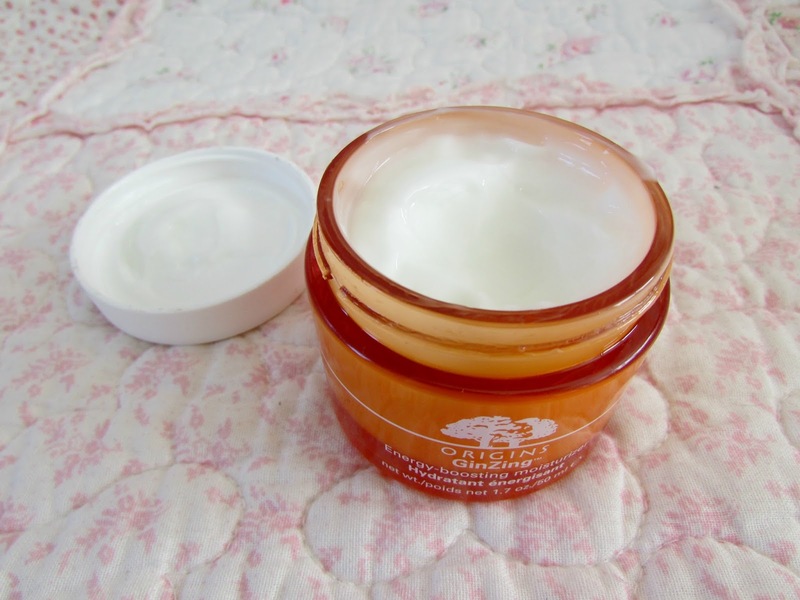 Keep reading to find out more about why this is my moisturizer of choice at the moment. Origins is definitely one of my favorite brands. When I first started blogging it was one of the brands that was so highly raved about that I couldn't help but test and try out some of the their products and they definitely didn't disappoint. It's very rare to see or hear a bad review on their products so I knew I wasn't going to be disappointed and like I said when I first bought the moisturizer I knew I was going to instantly like it. Firstly I just absolutely love the packaging of the product. When it comes to beauty products I'm always on the look out for something bright and eye catching so that it's a motivation for me to actually use it when it is sat on my dressing table. The fact that this is so bright means that it's a constant reminder for me to use it. Come on, we all get a little bit lazy now and then when it comes to skincare so the fact this is bright is definitely a bonus. I also love the size of the pot as it means it's extremely travel friendly. It's only 50mls as well so it means you can take it with you on the plane and keep your skin fresh which is just ideal as we all know how bad the air on the plane is for your skin. Being able to carry this on the plane is definitely ideal as at least you can try and save your skin on whilst you're travelling. I'll definitely be taking this with me when I go to New York. The most stand out aspect of this moisturizer is definitely the incredible citrus scent. Normally I don't like things like this as I find them too overpowering and find that the scent tends to linger for a few hours after but not with this. The scent is very subtle and even though you can still smell it a few minutes after it's not that sickly sweet that you just want to scrape it off your entire face. It's just right and is definitely one of my favorite things about this product. Since Soap and Glory introduced the sugar crush scent I was drawn to citrus scented products so I knew this was one I wasn't able to resist. I find this is the perfect product to use first thing in the morning as it is extremely uplifting and is one of those scents that instantly wakes you up. I love it. The main product itself is absolutely amazing. I absolutely love the formula and texture which is extremely light weight. I hate moisturizers that feel really thick and heavy on the skin. I find that this still gives your skin the right amount of moisture. It's extremely cooling on the skin which is perfect for getting rid of any puffiness on the skin which is something a lot of us have when we wake up in the morning. I think this is the perfect product for those of us who have dry skin however if you have oily skin I feel like this will also suit your skin as the product is completely oil free but will still give your skin the moisture it needs. The product itself also has radiance boosting properties and creates such a vibrant and healthy looking glow to the skin making it the perfect base for make up. Who doesn't want their skin to look like this?! This moisturizer has really made a difference to my skin and I am so thankful to it. Thanks to the two skin boosters, Panex Ginseng and Coffee Bean contained within the formula my skin is left looking and feeling more hydrated, radiant and makes me look instantly wide awake in the mornings which is ideal when you do shift work and sometimes have to wake up at 3:30AM. It's just ideal. I do think that if you have extremely dry skin then maybe this won't be as moisturizing for you so it's probably best to opt for something which has a higher hydration level will be better but by all means definitely try this out as I thought my skin was extremely dry but this definitely helped me so I guess it depends on the type of skin you have. Overall I absolutely love this moisturizer and literally don't have anything bad to say about which is very rare when it comes to me and moisturizers as normally I am very critical but I absolutely love it. 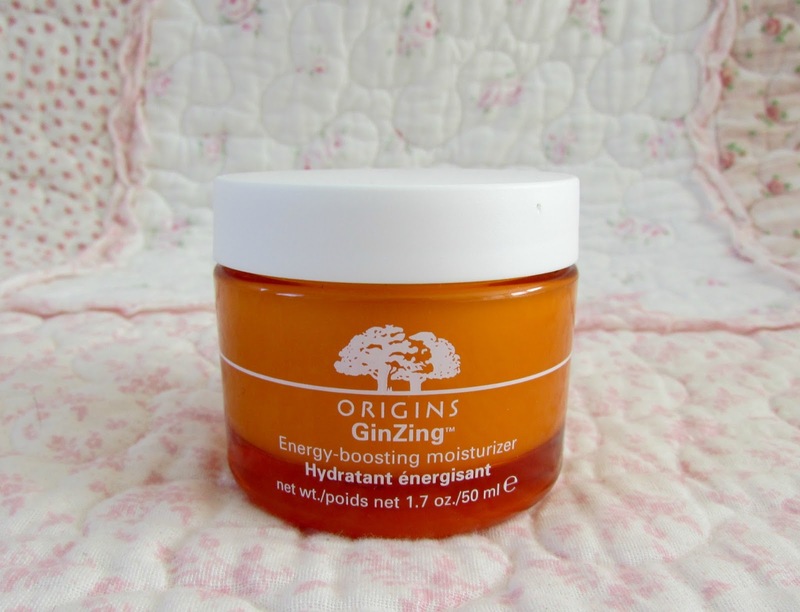 If you are interested then this moisturizer is available to purchase for £24 from the origins website if you click HERE. If you are new to Origins then I definitely recommend purchasing direct from the origins website as when you check out you are able to pick three free samples of other products to try which I think is so good as you can try before you buy which is ideal. So what are you waiting for? 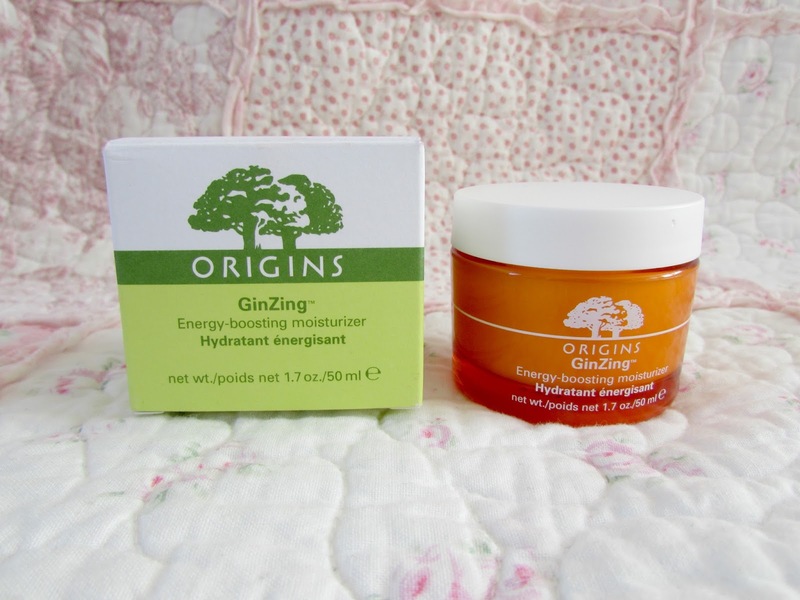 If you have tried any this moisturizer or any other product from origins then be sure to let me know in the comments below what your favorite one is. What is your favorite moisturizer to use in the mornings?